Traveller-3700 Available in 16+D and 17+D seating. Longer wheelbase of 3700mm accommodates 17 passengers and a driver. 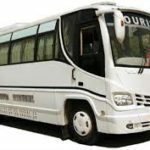 INDUS CAR RENTAL Provides Excellent Taxi Service Services in Gurgaon for Outstation , Taxi in Gurgaon , Taxi Service Taxi Gurgaon , Taxi Service Gurgaon Gurgaon Service For Local To Outstation, Airport Taxi Hire Services , Indus Car rental Offers Wide Range Of Taxi Service Services In , Gurgaon is one of the best metropolis by area. Gurgaon is very nearer to the capital of India called Delhi and lots of historic places like Qutub Minar, Humayun’s Tomb, Lotus Temple , President House , Mungal Garden, Pragati Maidan , Connaught place , Taj Mahal , Shimla , Haridwar , Garhmukteshwar , Jaipur , and the Red Fort etc.Taxi Service in Gurgaon , Car Rental Service in Gurgaon Gurgaon , Taxi in Gurgaon , Indus Car Rental , Taxi Service Gurgaon Gurgaon , Airport Taxi hire Service in Gurgaon Gurgaon , Taxi Service in Gurgaon , 24 Hrs Taxi Service Services , 24 Hrs Taxi service , Taxi Service in Gurgaon , Taxi in Gurgaon , Online Taxi Service Services Midnight Taxi Service Services , Taxi Service For Outstation ,Taxi For Outstation , Local Taxi Service in Gurgaon . Gurgaon like Sohna Road, Greenwood City, Malibu Town, Mayfield Garden, Nirvana Country, Nirvana Country 2, Pace City 1, Pace City 2, Palam Vihar, Rosewood City, Saraswati Vihar, Sushant Lok 1, Sushant Lok 2, Sushant Lok 3, Sushant Lok 4, South City 1, South City 2, Udyog Vihar, Udyog Vihar Phase 1, Udyog Vihar Phase 2, Udyog Vihar Phase 3, Udyog Vihar Phase 4, Udyog Vihar Phase 5, Uppal South end, Vipul World, DLF City Phase 1, DLF City Phase 2, DLF City Phase 3, DLF City Phase 4, DLF City Phase 5, DLF Alameda, DLF Garden City, Park View City 1, Park View City 2, Sohna Road, IMT Manesar, IFFCO Chowk, M G Road, Sukhrali, Ambience Island, Ambience Mall, Arjun Nagar, Ashok Vihar, Atul Kataria Road, Badshahpur, Baldev Nagar, Basai Road, Bhangrola, Bhim Nagar, Bhora Kalan, Bus Stand, Carterpuri Road, Chakkarpur, Chandi Mandir, Civil Lines, Daultabad, DLF City Center Mall, DLF Cyber City, Dlf Cyber Hub, Dlf Galleria, Dlf Golf Course Road, Dundahera, Global Business Park, Gold Souk Mall, Gurudwara Road, Haily Mandi, Hans Enclave, Heritage City, Housing Board Colony, ITC Green Centre, Jacobpura, Janta Market, Jharsa, Kamla Nehru Market, Kasan Road, Khandsa, Krishna Colony, Laxman Vihar, Laxmi Garden, Madanpuri, Maruti Vihar, Nakhrola Road, New Basti, New Colony, New Railway Road, Old Delhi Road, Old Railway Road, Pataudi Road, Patel Nagar, Rajiv Nagar, Roshan Pura, Sadar Bazaar, Sheetla Colony, Shivaji Nagar, Sikanderpur, Subhash Nagar, Vijay Park, Vishnu Garden, Wazirabad, Sispal Vihar Sohna road Gurgaon, Sector 3, Sector 4, Sector 5, Sector 6, Sector 7, Sector 9, Sector 10, Sector 12, Sector 13, Sector 14, Sector 15, Sector 17,Sector 18, Sector 21, Sector 22, Sector 23, Sector 25, Sector 27, Sector 28, Sector 29, Sector 30, Sector 31, Sector 33, Sector 34, Sector 35, Sector 37, Sector 38, Sector 39, Sector 40, Sector 41, Sector 42, Sector 43, Sector 44, Sector 45, Sector 46, Sector 47, Sector 48, Sector 49, Sector 50, Sector 51, Sector 52, Sector 53, Sector 54, Sector 55, Sector 56, Sector 57, Sector 58, Sector 59,Sector 60,Sector 61, Sector 62,Sector 63,Sector 64,Sector 65,Sector 66,Sector 70,Sector 71,Sector 72,Sector 77,Sector 78,NH8, Mehrauli Gurgaon Road Khandsa, Narsinghpur, Kherki Daula, Manesar Toll Plaza, Naharpur Kasan, Shikohpur, Baskushla, IMT,Sehrwan, Panchgaon, Delhi jaipur Expy, Bhora klan, Bhoda khurd, Bilaspur kalan, Sidhrawali, Kapdiwas, Dharuhera, Bhiwadi, Tikri, Fazilpur Jharsa,Sector 71,Sector 72,Sector 73,Sector 74, Sector 75, Sector 76,Sector77,Sector 78, Sector 79,Sector 80, Sector 81,Sector 82,Sector 83,Sector 84, Sector 85, Sector 86, Sector 87,Sector 88, Sector 89,Sector 90, Sector 91,Sector 92,Sector 93,Sector 94. Sector 95, Sector 96,Sector 97,Sector 98, Sector 99, Sector 100, Sector 101, Sector 102, Sector 103.Sector 104,Sector 105,Sector 106, Sector 107, Sector 108, Sector 109,Sector 110,Sector 111,Sector 112.Sector 113,Sector 114, Mahipalpur,Vasant kunj,Delhi Airport, RangPuri, Sohna,Delhi Airport. 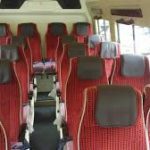 DalHousie Trip Dharamsala Trip Tempo Traveller Call Now 9717618797.